"I felt wrong applying for (food stamps) again even though I could qualify for them." "We don't like to think we're a drain on society. We just want to use this talent we have and inspire people to pursue their dreams." - Olympic steeple hopeful Ben Bruce and his fiancée (and Trials marathon/10k runner) Stephanie Rothstein talking about being on food stamps while they pursued their Olympic dreams. Bruce will go for the Olympics in the steeple final on Thursday. Could any pro athlete in the big sports beat Aston Eaton in any event in the decathlon? If each event had trials a different week, could Lagat qualify in 1500 / 5000 / 10,000 / steeple ? I say YES! LRC 1,500 Starts Thursday: What Big Names Goes Home? A Waste Of Time The 1,500s should be epic, as in both the men's and women's races one very famous person is bound to go home empty-handed. 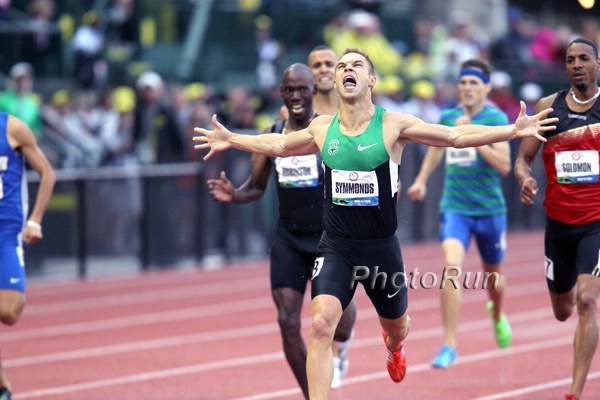 One of the following men will go home: Matt Centrowitz, Leo Manzano, Andrew Wheating or Robby Andrews. One of the following women will go home: Morgan Uceny, Jenny Simpson, Shannon Rowbury or Anna Pierce. *Can Drug Cheat Justin Gatlin Be Marketable Again? Mo Greene Says Hava A Runoff With 30-Minute TV Special Justin Gatlin caught some backlash for joking about using "Jell-O wrestling" to break the tie. Whatever The Outcome, Felix & Tarmoh Will Both Go On The 4 X 1 Don't expect to hear any updates until after the 200. Dan O'Brien Says Don't Expect Ashton Eaton To Break The WR Again In London More competitors and delays makes it harder to establish a rhythm. In Case You Missed This: Curtis Beach: "I just thought it would be better for Ashton to win as he broke the world record." Should Eugene Be Permanent Site Of Trials? Vivian Cheruiyot Says She Does Not Fear Facing Tirunesh Dibaba At The Olympics We've said Dibaba is probably better since she crushed Meseret Defar, whom Cheruiyot barely beat. However, Cheruiyot claims she was nursing an injury for those races. African Champs: Caster Semenya & Amantle Montsho Highlight For many SA athletes, this is one of their last shots at the "A." *Science Community Continues To Debate Oscar P It all might be irrelevant, though, if he fails to hit the 45.3 "A" standard before the selection deadline. 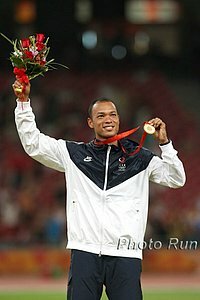 Sad News: Australian Olympic Sprinter Daniel Batman Killed In Car Crash The 45.02 man competed in the 2000 Games. Lucky And Good: World Champion Jesse Williams Finish 4th But Makes Olympic Team The US almost lost a probable medal at the Trials, but forunately Williams still will go to London. NY Times Picks Up On USATF Amateur Hour Theme In case you missed it, this theme was started in a Deadspin article that featured a LRC piece. Keston Bledman Runs 9.86 At Trinidad &Tobago Champs, Kelly-Ann Baptiste Dominates In 10.98 Someone needs to check the timing equipment down there. Dwain Chambers Wins Shows 18-Year-Old Adam Gemili Who Is Boss & Wins UK 100m Trials Chambers still needs the 10.18 "A" standard. Mo Farah won his 1,500 heat easily in 3:47.51 and said he will definitely race Saturday's final. World 400H champ Dai Greene won his heat in 50.80. Chambers: "I just wanted to win and you need that bit of anger in you, but I'm sorry and I didn't mean it. The dream is still alive." Recommended Read: Sports Illustrated: Children of the Internet era, Alan Webb & Dathan Ritzenhein know intense scrutiny LetsRun.com gets a prominent mention in the Tim Layden piece on how Ritz & Webb have had careers full of scrutiny since they were HS phenoms. Layden is the same guy who wrote a 2001 piece on Ritz & Webb for SI. 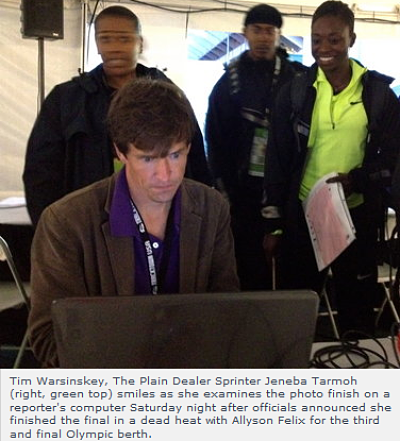 MB: Webb on LetsRun: "Way back in the beginning, it was fun,..(but now) every single thing I do is scrutinized by some blogger." LRC What To Look For In Men's 5,000 Final Updated Can Galen Rupp end his 0-12 streak against Bernard Lagat? 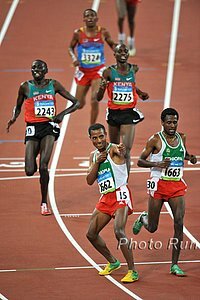 Will the 2008 flag bearer Lopez Lomong beat them both? Who will set the pace? Rupp? Or will he get help from guys who don't have the "A"? 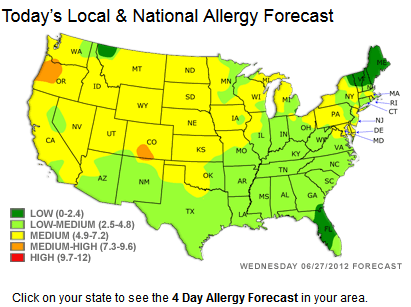 Updated: Will the higher pollen count hurt Rupp? Will he wear his mask? 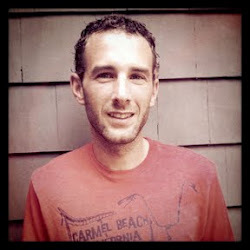 *MB: Is it possible that Galen Rupp doesn't get a spot in the 5k? LRC What To Look For In Men's Steeplechase Final In what will be his fourth-ever steeplechase, Evan Jager is the dominant favorite to win. 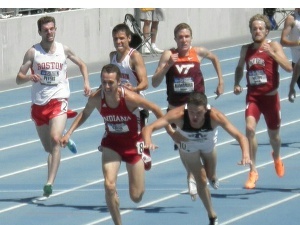 If NCAA champ Donn Cabral takes second, it will be a dog fight for third. LRC What To Look For In Women's 5,000 Final Julia Lucas is the US leader. Molly Huddle is the American record holder. Will either or both of them make the Olympic team? Who get third? Who sets the pace? 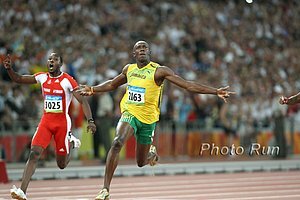 Usain Bolt, Yohan Blake And Asafa Powell Will Have Showdown In The 100 They have 7 under 10 seconds this year. Maurice Greene On Olympic 100m: "This race in London is going to be a lot closer than a lot of people think." Is Bolt vulnerable? He's only broken 9.80 twice this year and not by much. 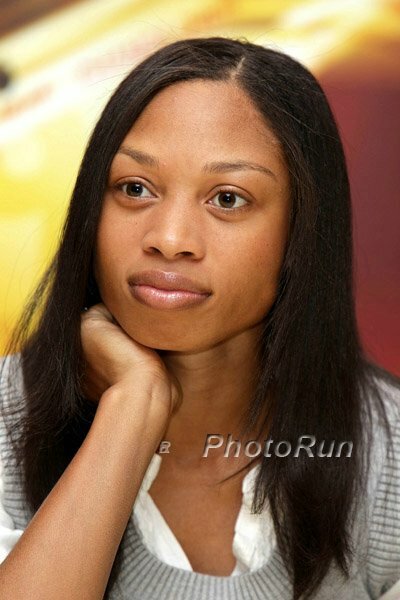 Live Streaming For Jamaican Olympic Trials Available in North America, the Caribbean and the UK. They say there will be a link to the stream here. 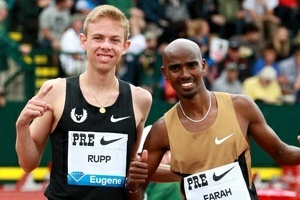 Is it possible that Galen Rupp doesn't get a spot in the 5k? Duane Solomon is a boss!!! Its not Rocket Science why Webb is struggling, i can see it why cant he and Vig? MB: BREAKING NEWS FELIX TIES FOR 3RD IN REVISED RESULTS?? European Champs: *Full Results *Live Commentary Updates Live in France, Spain, or Switzerland? Go here for live stream. *World 1,500 Silver Medalist Jenny Meadows Pulls Out Of 800 The Achilles injury that kept her out of UK Trials is still giving her issues. *It Was A "Nightmare" Start For The UK Other than Farah. *Irish Brother And Sister Trying To Make Olympics In Same Event Both in 400H and need to hit the "A." South Africa: Oscar P Qualifies For 400 Semifinal At African Champs He ran 46.32 for 2nd. *London Games Will Have Special Team Dedicated To Making Olympic Weather Predictions We'll go ahead and make a prediction right now: it's going to rain at the Olympics. Charles Van Commenee On Adam Gemili: "I am not sending my 12-year-old niece to fight al-Qaeda. We are going to the Games. It's fun." Epic Battle In Steeple Will Be One Of Saturday's Highlights 3-time Olympic/world champ Ezekiel Kemboi is only the 6th fastest Kenyan in the world. The defending Olympic champ Brimin Kipruto is #51 in the world. Silas Kiplagat Will Treat 1,500 As Olympic Final "I am considering these trials as an Olympic final since you fail here and you live to regret for the next four years." David Rudisha Breezes To Finals & Gets Rave Reviews From All In Attendance Leonard Kosencha & Augustine Choge Fail Coach Colm O'Connell was very happy and even his fellow competitors seemingly have raised the white flag, as 2007 world champ Alfred Kirwa Yego said he's "happy being on the track with him" and that it's a "privilege" for Kenya to have Rudisha on their team.